Any regulars at PPM might have remembered the post that I made last year outlining my hyper-deluxe “Showpeople – Footlights edition” BSOG® that I had made years ago in 2008. As a sop to several readers clamoring for their own copy [but certainly not in my power to bestow], I included the 74 page PDF detailed discography that I included on one of the discs as a bonus. In this thrill-a-minute, crazy, connected world, word of this managed to filter back to Mari Wilson central. 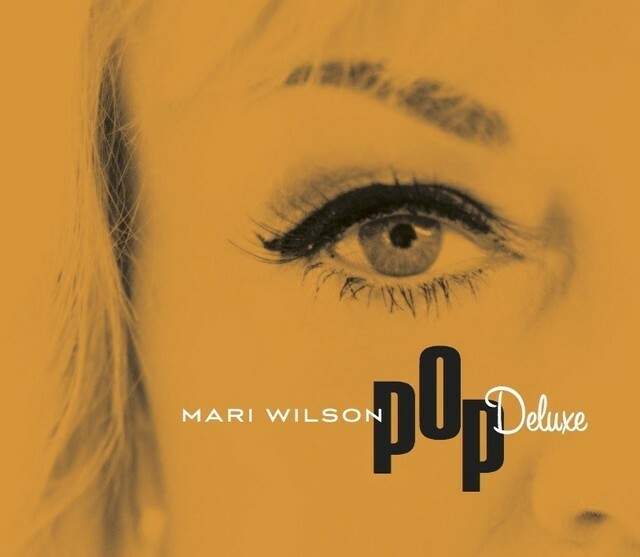 Mari was preparing her new website to launch her new album “Pop Deluxe” and… lo and behold, I was asked if the new website could use the discography I had made years ago. Of course, I was delighted to comply. It’s not every day that a project that I had poured my passion into (some years ago at that) got to be used by the subject of my interest. However, there was a lot of water under the bridge since 2008. Since then, Mari had started releasing her albums on her own Beehive Records imprint, and this at a rate that had easily eclipsed the stately two albums in the eleven year period of 1980-1991 that my discography covered. 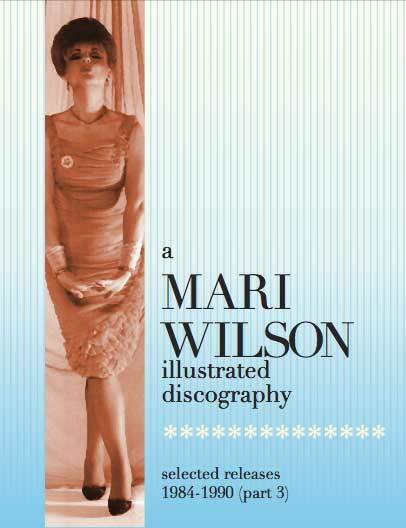 Given that I often revisit my projects to update them [not unlike real labels] I proposed to Ms. Wilson that I should bring it right up to date, so her site now hosts an update to the discography that I had begun eight years ago viewable here. Now the albums “Dolled Up,” “Emotional Glamour” and “Cover Stories” and their respective singles [as well as the odd non-LP single] are all accounted for with the full Monastic detail you have come to know and expect. Cover scans are fully zoomable to view all of the detail inherent in their design, of course! Anyone who wants to have a look can give Mari’s site a visit and explore. Her new album is released on May 13th, but can still be pre-purchased at her Pledge Music campaign until release day. That’s all super-fab, but this year brings two great tastes that taste great together in my world – for the first time The British Electric Foundation has Mari Wilson in its ranks! In a move that corrects several omissions of tragic proportions, B.E.F. mastermind Martyn Ware has wisely chosen Mari Wilson to sing in the 2016 B.E.F. tour as well as their summer festival dates. Anyone familiar with the 1982 B.E.F. debut album, “Music Of Quality + Distinction” might remember how Martyn Ware roped their friend Paula Yates to sing “These Boots Are Made For Walking” while Midge Ure and Glenn Gregory sang the backing vocals under the nom-du-disque The Nancy Boys? Imagine how much better the track could have been if they had instead asked Mari Wilson instead? Mari was no stranger to camp in 1982 but coupled with her ability to sing, she could have really taken the song places where Ms. Yates could not even begin to venture. Well, in 2016, she may be the voice to finally give that song some justice. If I had an airline voucher and a pocketful of spending cash, I’d opt for any of the H17/B.E.F. gigs [their live band is on fire right now] and the Rewind South gig since Richard James Burgess of Landscape [!] will be making a rare live performance. 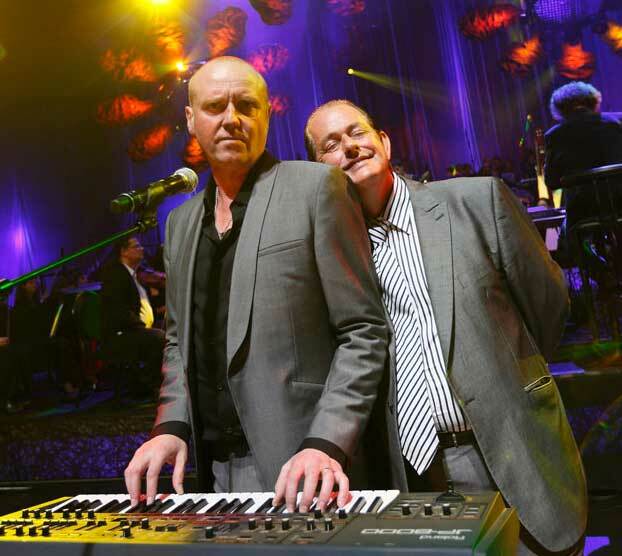 Correct me if I’m wrong, but I’ll wager that there were no Landscape live performances back in the day! That gear was simply not up to the travel. This entry was posted in Core Collection, Organ Auction Live Event and tagged B.E.F., BSOG, crowdsourcing, discographical research, Live Concerts, mari wilson, Pop Deluxe. Bookmark the permalink. Congratulations on your effort being recognized by Mari! Were you provided with any, uh, research materials for your effort in updating it? 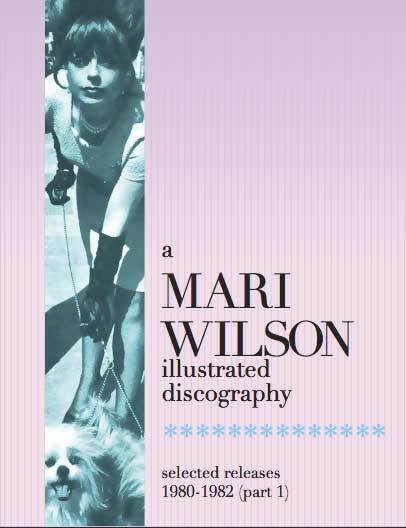 Tim – Mandatory disclosure laws compel me to reveal that, yes, I did receive promo copies of “Dolled Up,” “Emotional Glamour” and “Cover Stories” from the artiste herself, and for the record, any Mari Wilson fan without a copy of “Emotional Glamour” is missing out on her finest hour! I have already bought copies of this for fan/friends as birthday gifts. Just had a look-see – great work in design and information! Congratulations! cdave2 – Thanks for a having a look- see. This is the sort of work that I would spend all day doing if income were not a problem! 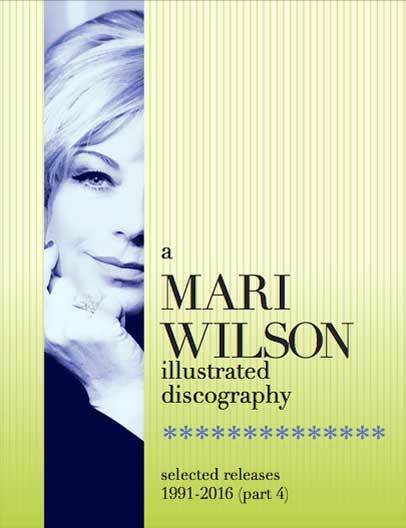 I am over the moon that Mari Wilson has asked to host it on her site. Sometimes, reality rocks. So great to see that the power of the internet has put a positive spotlight on this corner of the blogosphere! This is not just a feather, Monk, but it’s an ostrich plume to put in your cap! Not many would put as much visual effort into a running discography and we (and Ms. Wilson) are very lucky that you don’t do anything by half. The descriptive commentary on many of the releases is brilliant! Here’s hoping Mari show’s Martyn your efforts and you get an email from B.E.F. Central when they get around to updating their rodents warren of a website. Echorich – !!! I hadn’t even considered the degrees of separation involved there! I’ll only say: if elected, I will serve! So thrilled for you Sir! Well deserved.I was given Showpeople on my 16th birthday and always enjoyed hearing Mari.